What a wonderful blog ! Found you off of VB! 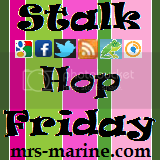 My friend Sam and I are hopping on your Facebook hop because I had so much fun last week she decided to join too. Thanks for hosting! I am a new GFC follower. Have a good weekend. Aloha! I'm your newest follower. Thank you for hosting this linky! My apologies. I noticed I put my name on the blog post rather than facebook. Sorry about that. I realized last night I was on the wrong section but my name didn't show up so thought it didn't take. 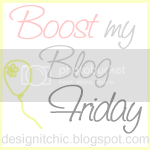 New follower from Boost My Blog Friday! Feel free to stop by my blog, I'd love to have ya! Thank you for hosting! I accidentally put my facebook post in twitter, sorry about that! Hi, I'm a brand new GFC follower. Hi - newest follower here - - thanks for hosting! 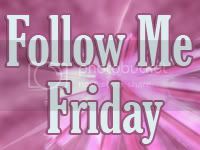 Hi I already follow you, and have a great weekend. Hope you can stop by sometime, and maybe check out my give-away. 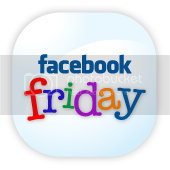 Lots of ways to follow, I can barely handle Google Friends, twitter would make my head explode. 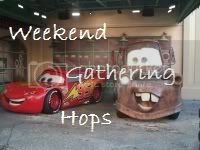 Looks like another great hop! Thanks so much for hosting and for stopping by! Just wanted to say hi and admire your blog. New follower!